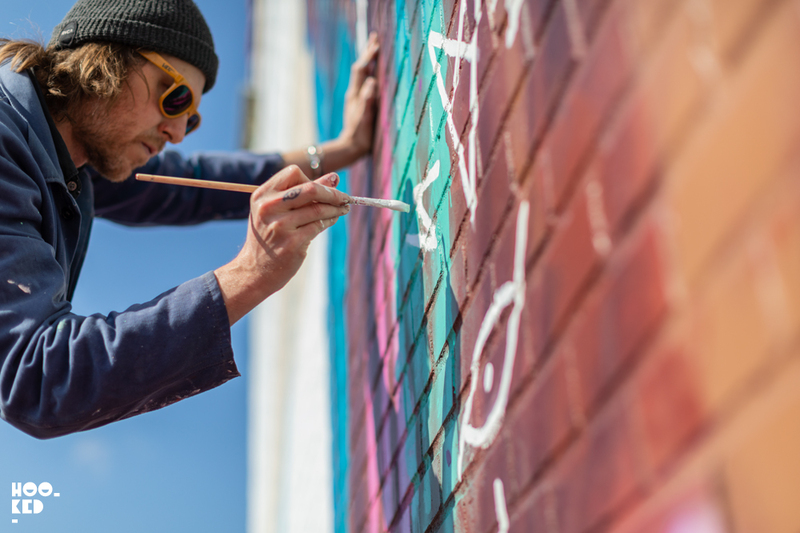 It was Thursday before we caught up with Berlin-based British artist David Walker who was well into his latest mural on the gable end of a building just outside the city center overlooking the Spuikom basin. 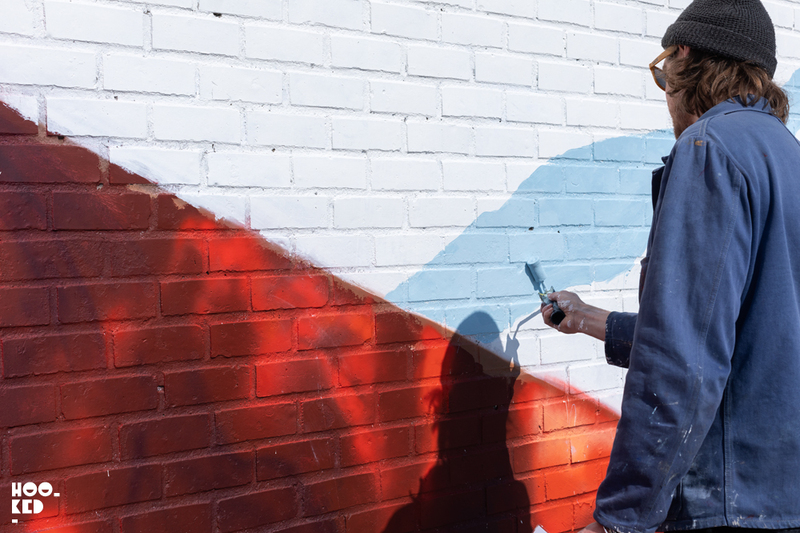 It’s been a number of years since we caught up with Walker at work on the streets, we have run into him a number of times in Berlin where he is currently based but it was in Shoreditch, London back in 2014 when we photographed Walker at work on a mural on Rivington Street in East London. 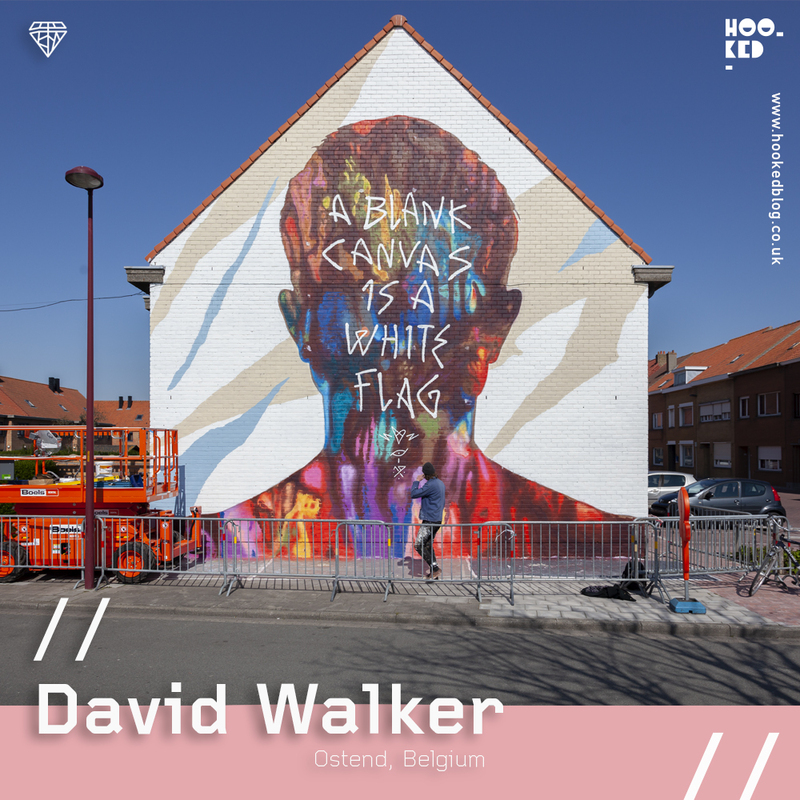 Walker spent a number of days working on the new mural in Ostend, using a combination of spray paint and paint and brushes to create this vibrant multi-colored/ layered siloette of a faceless man against an abstract background overlayed with hand painted text that reads "A Blank Canvas Is A White Flag”. 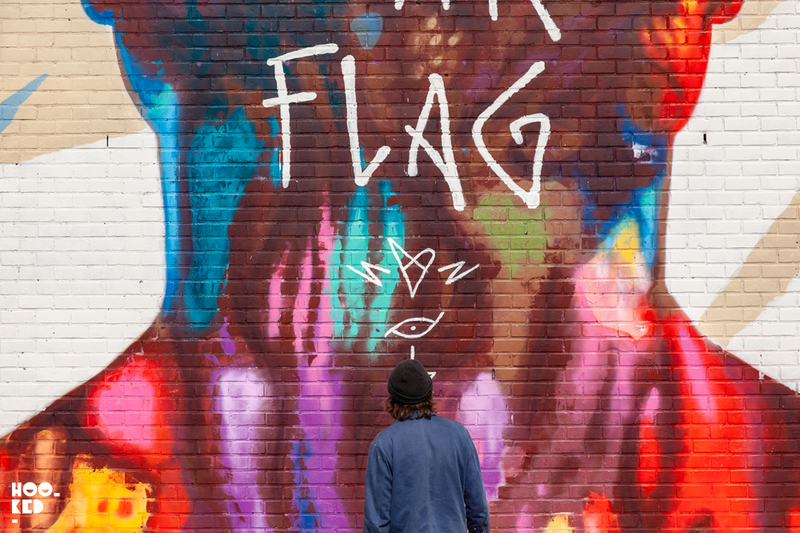 Walker told us the text was based on an older work that he wanted to revisit when he was invited to paint and at the Crystal Ship and was told about the theme of the festival "The Dictatorship of Art". 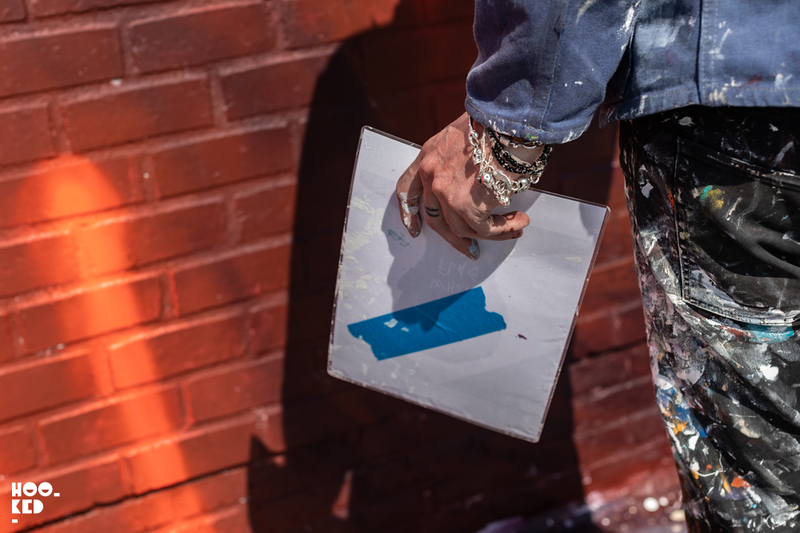 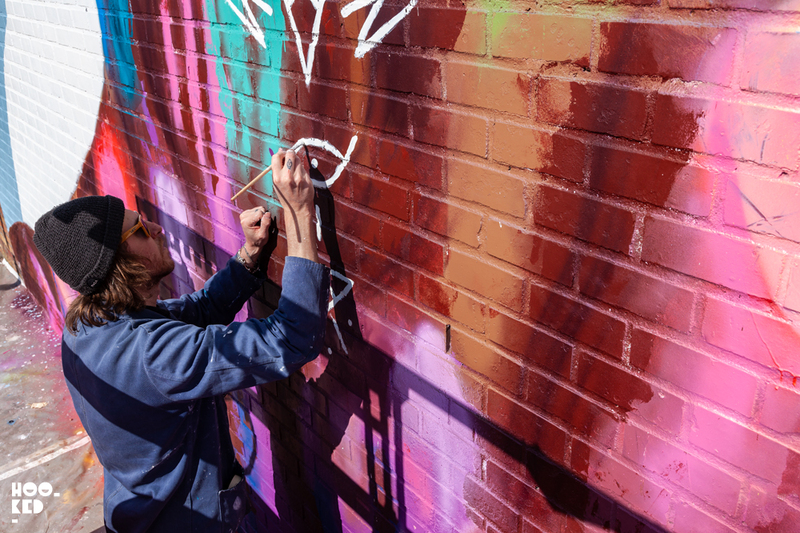 Take a look at our series of photographs of Davis at work and images of the completed mural. 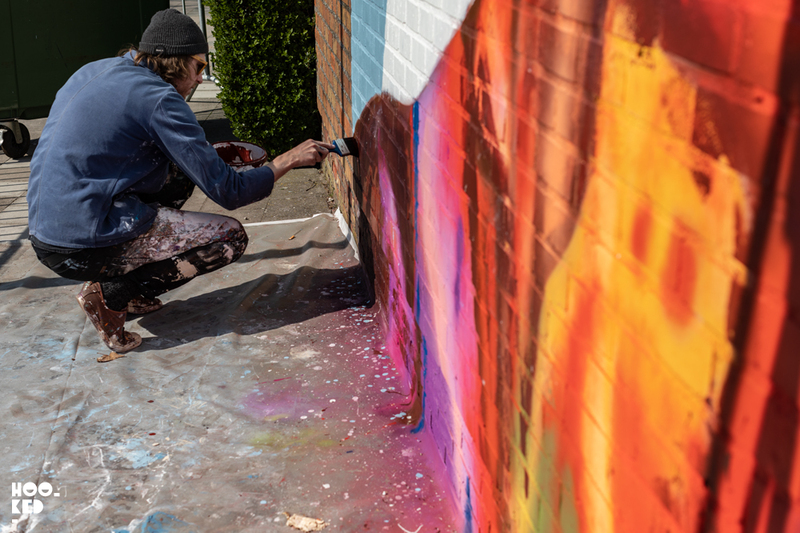 Artist David Walker adding the finishing touches to his mural for the Crystal Ship in Ostend. 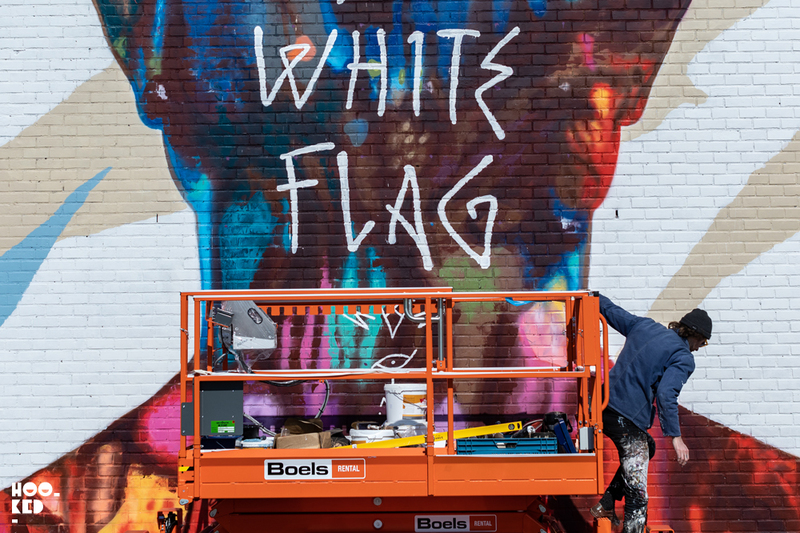 Artist David Walker takes a minute to look over his finished mural in Ostend, Belgium for the fourth edition of the Crystal Ship festival. 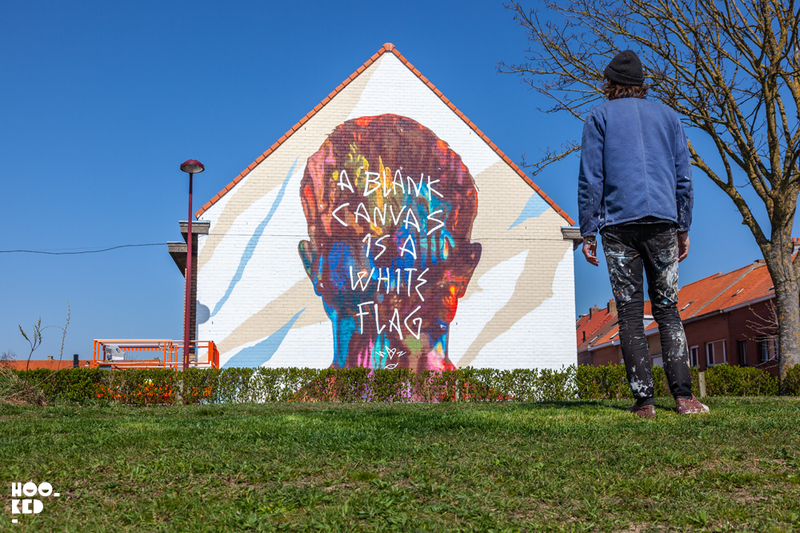 The completed mural can be seen on the corner of Sgt De Bruynestraat and Schietbaanstraat in Ostend, Belgium.